After 1200 years since they attacked the monastery on Inishmurray, the Vikings returned to Sligo. 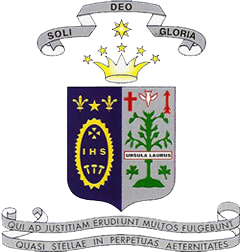 More specifically, they came to the Ursuline Convent. No raiding or pillaging took place but instead, perhaps a recruiting drive to see which of the first year students were the best fighters to join the ranks of famous shield maidens such as Lagertha, Brynhildr and the Swedish princess Thornbjǫrg. 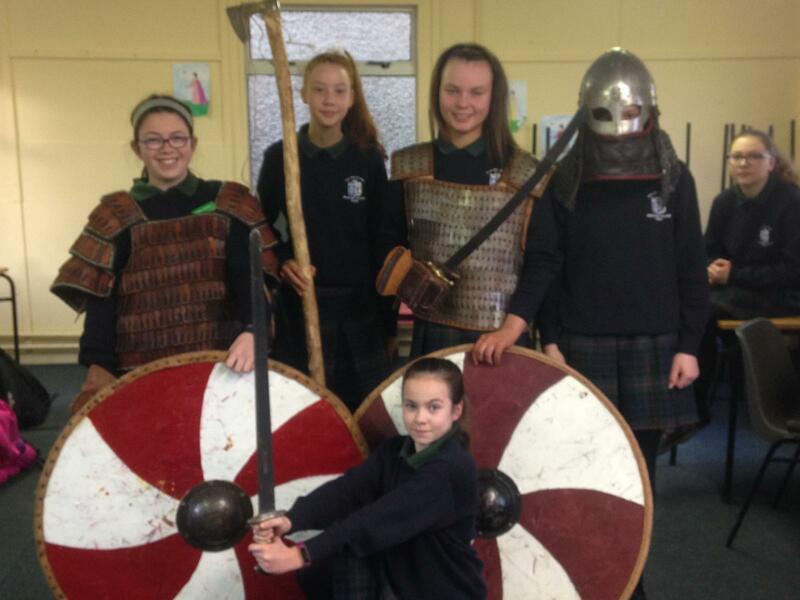 Students donned authentic Viking helmets, boiled leather and link metal armour as well as gauntlets to protect their sword wielding hand. Some of these pieces replicated Viking equipment dated back to the 9th century or the later Byzantine era where the famous Viking Varangian Guard were the Eastern Roman Emperor’s personal bodyguard. 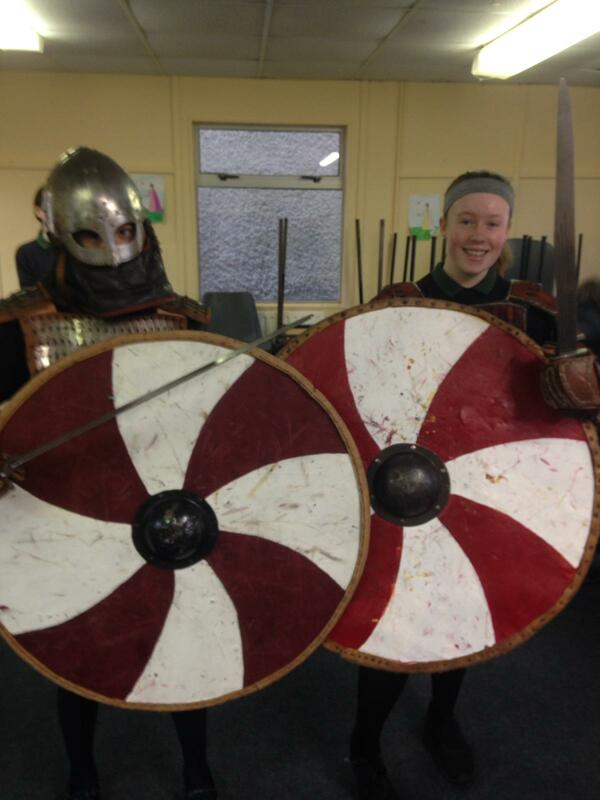 The fierce first years were trained how to hold a metre wide wooden shield, a variety of swords from double edged to singled edged cavalry cutlasses as well as the 7 foot tall Dane axe. They were taught how Vikings would come together in battle to form an impenetrable shield wall and how fatiguing it would have been to fight for your life wearing all this life saving equipment. 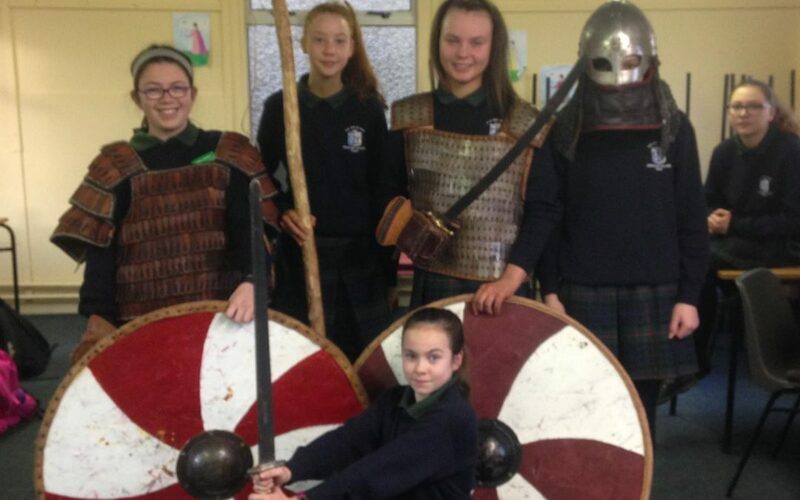 The students were taught this information as part of the first year history curriculum pertaining to ‘Life and Death in the Middle Ages’, and as the Viking Age straddles both the Early and Late Middle Ages, what better way to bring history to life? All the equipment was supplied by Mr Cummins and his Viking friends in the group ‘Sons of Ivar’.